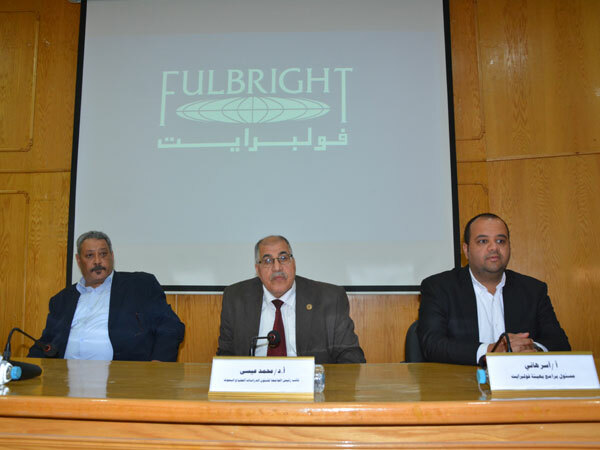 Under the patronage of Prof. Ashraf Abd El-Hafeez, Acting President of Fayoum University, Prof. Mohamed Essa, Vice President for Postgraduate Studies and Research Affairs, witnessed a seminar about Fulbright Commission, its scholarships and programs in the presence of Mr. Asser Hany, Programs Officer, Mr. Abd El Aleem Refaat, A representative of the Ministry of Higher Education, and a number of faculty members and postgraduate students at the university on Sunday, 7/4/2019 at the Central Library. 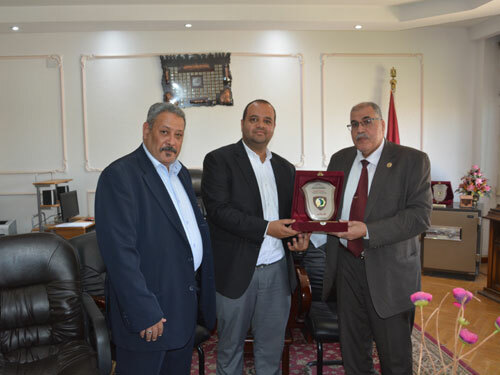 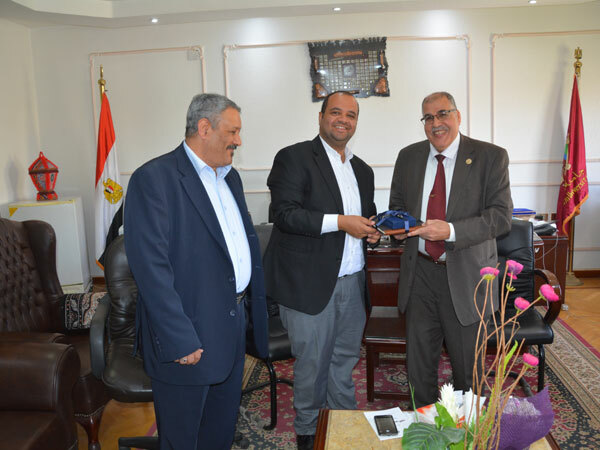 Prof. Mohamed Essa praised the scholarships and programs offered by the Authority, stressing that the aim of the Authority is the cultural exchange between Egypt and the United States of America. 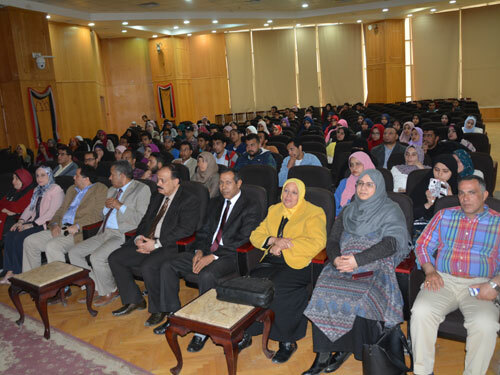 Mr. Asser Hany discussed the various programs and scholarships offered by the Commission and its target groups, including faculty members and alumni, as well as scholarships, including a master's and doctorate grant, a specialized scholarship to manage museums or arts centers, an Islamic scholarship for al-Azhar graduates and a teaching scholarship.